Azerbaijan State Symphony Orchestra has stunned music lovers with fascinating concert. The event took place at the Azerbaijan State Philharmonic Hall, Day.Az reported. 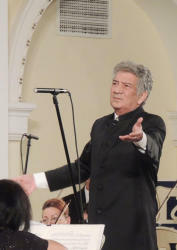 Under the direction of the artistic director and principal conductor of the orchestra, People’s Artist of Azerbaijan Rauf Abdullayev, the orchestra performed "Symphonie fantastique", the most famous and significant work, composed by Hector Berlioz. The uniqueness of this work is that it became the first program symphony in Romantic music. The French composer created a program in the form of a script, with a detailed and vivid description of all the events that were to unfold before the eyes of the public. The symphony lasts about 45 minutes and is divided into 5 movements: Rêveries - Passions (Daydreams - Passions, Un bal (A ball), Scène aux champs (Scene in the country), Marche au supplice (March to the scaffold), Songe d'une nuit de sabbat (Dream of a witches' Sabbath). Five parts of the symphony, performed by the orchestra aroused the delight of the public, awarded the musicians with a storm of applause. The audience also enjoyed the performance of the Russian violinist Sergey Dogadin. The musician pleased music lovers with Concerto for violin and orchestra (D dur, op. 35) by P. I. Tchaikovsky. The work became an integral part of Russian musical culture. The brilliant performance of Dogadin did not leave anyone indifferent. Notably, it's not the first visit of the Russian musician to Azerbaijan's capital. 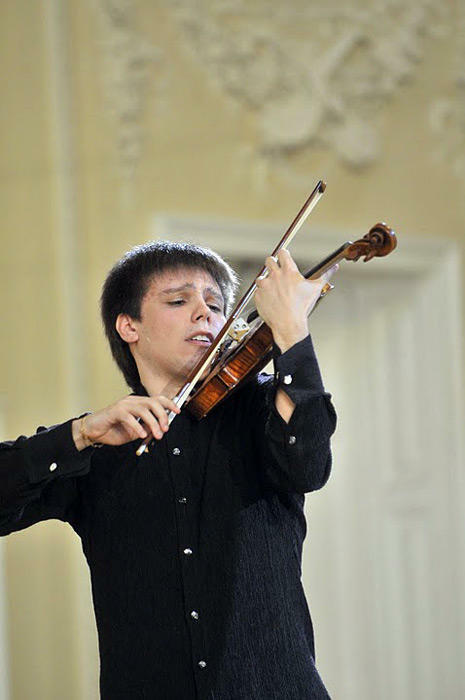 Sergey Dogadin made his major debut in 2002 with Vasily Petrenko and the St. Petersburg Philharmonic Orchestra. He successfully performed with such conductors as Valery Gergiev, Yuri Temirkanov, Vladimir Ashkenazy, Vladimir Spivakov and Manfred Honeck and shared the stage with such artists as Elisabeth Leonskaja, David Geringas, Denis Matsuev and Daniil Trifonov. The conductor pays special attention to the performance of musical compositions by Azerbaijani composers. Many operas, ballets and symphonies by great national composers were performed for the first time both in Azerbaijan and abroad under his supervision. He is also the founder and the organizer of classical music festivals such as "Music of the 20th Century" named after Gara Garayev. Rauf Abdullayev has been awarded by the state and received many other honorary awards and titles during his active and untiring career. Also, during his service as the chief conductor of the Ankara Ballet Theater and Opera from 1993 to 1997, he was twice awarded the title of the Best Conductor of the Year of Turkey. This year, President of Azerbaijan Ilham Aliyev signed an order on awarding Rauf Abdullayev with the Istiglal Order for great achievements in the development and propaganda of the Azerbaijani musical culture. Authors of many great works of world's music such as G.Mahler, I.Stravinski, C.Debussy, A.Bruckner, J. Brahms and others occupy honorable place in the repertoire of the orchestra. The orchestra is an active participant of "Music of the 20th century" organized by Abdullayev and "Festival of M.L.Rostropovich" which is held annually. Since 2007 the orchestra has participated in summer festivals In Italy.